I wanted to share some pictures of us learning to cook traditional food. 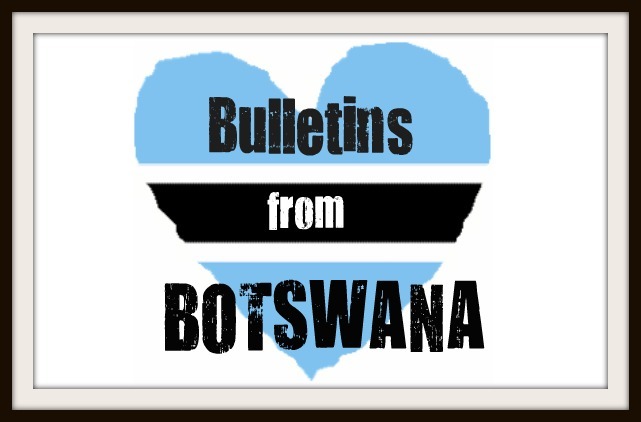 We have had workshops on how to select healthy food in Botswana and the best way to prepare healthy meals. It is going to be quite a challenge! We had the opportunity to cook three traditional dishes last week: okra and tomatoes, dried spinach with ground peanuts, and porridge made with melon and sour milk. Although they may not all sound like the most appetizing food, I really enjoyed all three dishes! We have a cooking contest coming up between all of the volunteers to see who can make the most creative dish with local food. Take a look at our cooking activities! Enjoy all the yummy, convenient food you have at home! I miss food back home every day. I'm slowing becoming used to the local food here, and I'm sure I will miss that too when I return back home to the states. Experiencing "Life as a Volunteer"